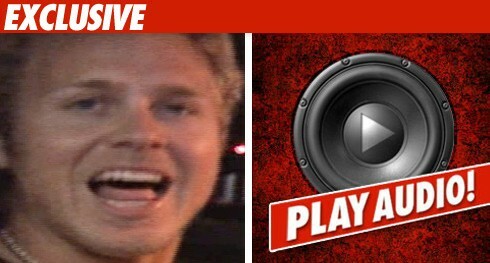 Two radio hosts are calling out Spencer Pratt for making one of the dumbest bets ever made -- and now they want the attention addict to put his money where his gigantic, nonsense-spewing mouth is. The hosts of "Jojo, Reagan and the Mix Morning Show" are demanding Pratt cough up the $1,000 he bet them on Friday morning, when he claimed Heidi's performance on the Miss Universe pageant this year was the most watched television event in the history of time and space. Jojo and Reagan tell TMZ they did their homework, and although the pageant was watched by an estimated one billion people (who knew?) ... Princess Diana's funeral was viewed by 2.5 billion. And, according to a third grader ... 2.5 billion > 1 billion. Jojo and Reagan want Spencer to pay up but tell TMZ they don't know how to get in touch with him to let him know. So ... ARE YOU LISTENING SPENCER???? Speidi -- Trick or Creeps?